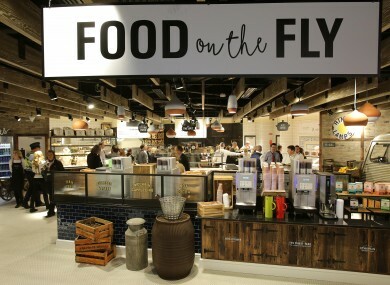 A NEW FOOD market style restaurant is opening in The Loop at Terminal 1 at Dublin Airport today. The food market and bar, Marqette, is employing 110 new permanent staff. It will offer locally sourced, organic produce and fresh artisan breads, catering to 5,000 people daily. Marqette sets a new standard for food service at Dublin Airport, offering customers and staff food to go, food on the slow and food on the fly which would allow people to take their food on board. While Peter Brennan, Executive Head Chef, Marqette, said “Ireland’s reputation as a food island is richly deserved and it is only fitting that this is reflected in the airport. The €4m investment is expected to provide extensive financial support to the agri-business sector and food producers in the North County Dublin. There is an estimated value to the local economy in excess of €4.25m annually. Email “110 jobs at new 'market style' airport food outlet”. Feedback on “110 jobs at new 'market style' airport food outlet”.